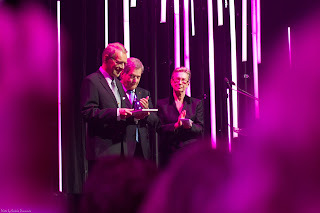 In the an earlier post, photos were shared from the Millennium Technology Prize Gala on May 22, 2018, where Tuomo Suntola received the prize for atomic layer deposition technology. 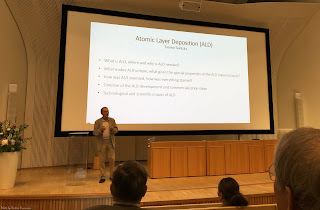 This post continues from where the previous post (Feb 10) left, and shares photos from the open lecture that Suntola gave on May 23, 2018, at Aalto University. For your information, an abstract has been submitted yesterday to the ALD 2019 conference https://ald2019.avs.org/ (Twitter: #ALDALE2019) in Bellevue, Washington, USA entitled “Overview of doctoral theses on Atomic Layer Deposition worldwide - outcome of the Virtual Project on the History of ALD”. The email below was sent to 78 VPHA contributors. As planned (though a bit later than planned), we are preparing an abstract again, for a poster at the ALD 2019 conference: https://ald2019.avs.org/. On May 22, 2018, Tuomo Suntola was awarded the prestigious Millennium Technology Prize (MTP) for his Atomic Layer Deposition (ALD) invention, awarded every two years for a life-changing innovation. Before Suntola, the MTP in 2016 was awarded to Frances Arnold. Without ALD - an invisible technology as such - Moore's law could not have continued, and we would not have the computing power (computers, smartphones) of today. 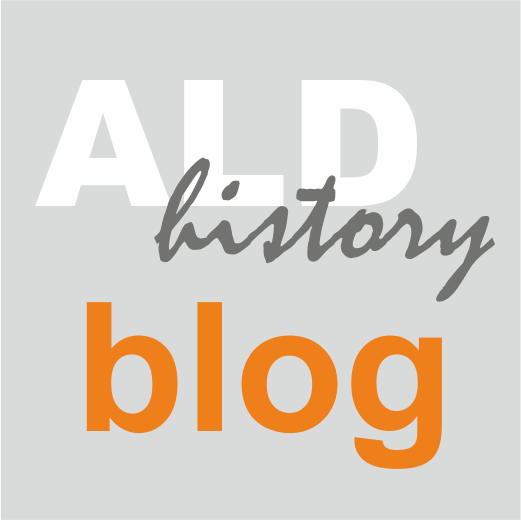 The BALD Engineering and Atomic Limits blogs are good sources for recent views on the impact and development of ALD. 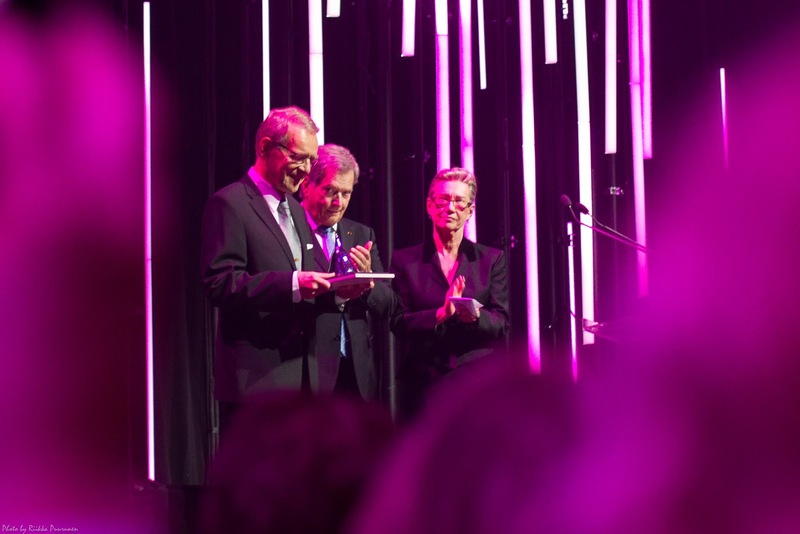 For more on the Millennium Technology Prize, please view the Technology Academy Finland (TAF) website https://taf.fi/; next call for nominations will open in April 2019. As the drafter of the nomination letter, I was honoured to be invited to the gala event & prize ceremony on May 22, 2018. For me, the prize and the event was literally a dream come true. The event was historical throughout. I wished that more colleagues from the ALD community could have shared the event and the joy and pride. To record this historical event and to share its details with others, as a hobbyist photographer I took many photos and several short videos at the event. Some I have shared in the ALD History Blog post right after the event, in a video collection on Youtube, and in photos released to Creative Commons. Now I have gone through my collections again and here I am sharing more photos. I link to the already published Youtube and Wikimedia Commons contents, where appropriate. The photos uploaded in Wikimedia Commons have a Creative Commons (CC) licence that allows everyone to freely use and distribute the photos - the only requirement is that you credit the source and if you make modifications, you share the new versions similarly openly (CC BY-SA 4.0). If you would like to reuse some of the photos shared in the blog but which are not in Wikimedia Commons, please contact me directly - you can find my contact info through the Aalto University website. IUPAC, https://www.iypt2019.org/: "1869 is considered as the year of discovery of the Periodic System by Dmitri Mendeleev. 2019 will be the 150th anniversary of the Periodic Table of Chemical Elements and has therefore been proclaimed the "International Year of the Periodic Table of Chemical Elements (IYPT2019)" by the United Nations General Assembly and UNESCO." 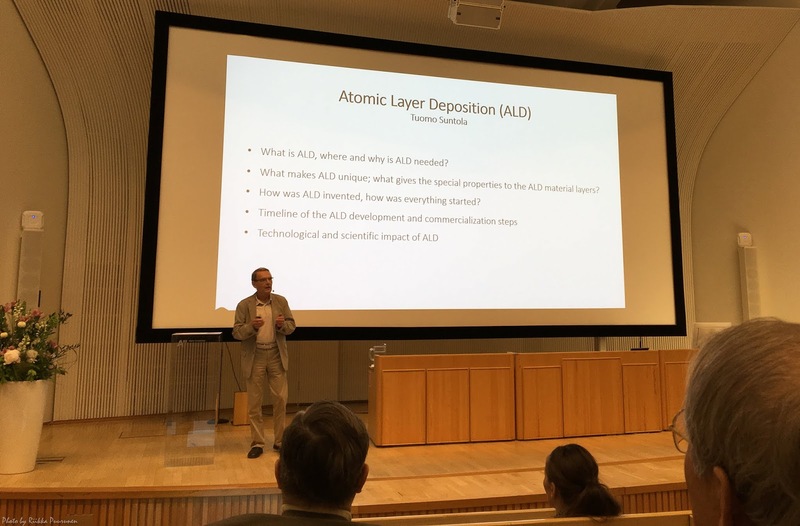 In atomic layer deposition, for which Tuomo Suntola in 2018 received the Millennium Technology Prize, the periodic table is a central tool. This was recently highlighted in the Atomic Limits blog, who created a colourful update of the periodic table of ALD processes which I originally created for a review article in 2005 and which was updated for another review article in 2013. 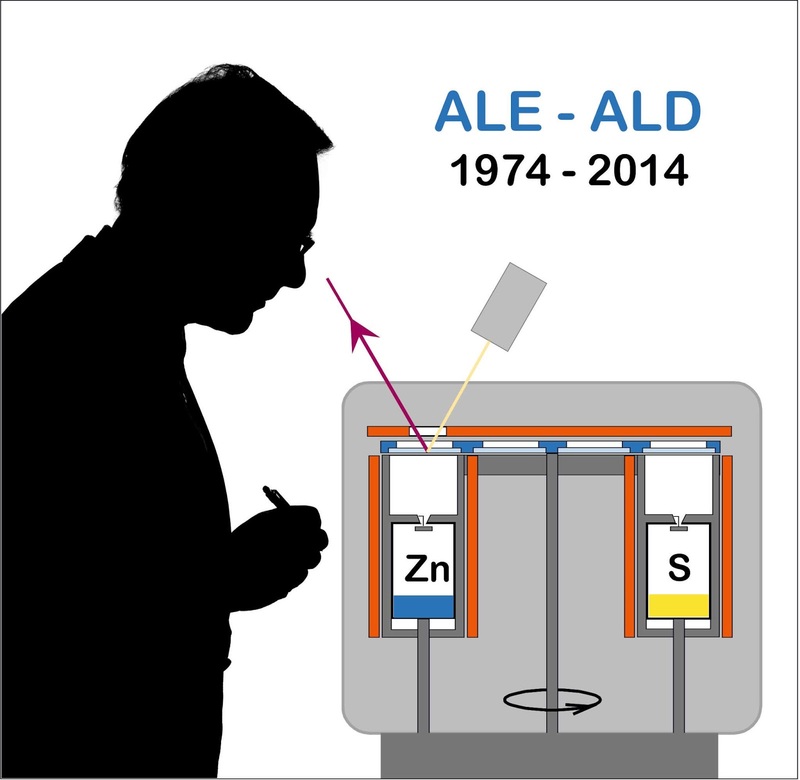 In this post, I tell a bit more on how that "periodic table of ALD" was born and updated. But first: a joint picture with Dmitry Mendeleev in St. Petersburg State University, taken - while visiting Prof. Victor Drozd in November 2015 - to honor this great chemist from St. Petersburg. Then-Dr. Riikka Puurunen (now Prof.) and statue of Prof. Dmitry Mendeleev in the hall of St. Petersburg State University. Photo taken upon request by Prof. Victor Drozd. November 11, 2015. Originally published in http://aldhistory.blogspot.com/2015/11/travel-notes-st-petersburg-puurunen.html. Brief VPHA communication sent to 76 contributors copied below. For your information: as we anticipated - see VPHA status update 17.1.2019 - the abstract submission deadline for the Baltic ALD conference has been postponed. The new extended deadline is Jan 31, 2019, see https://www.eurocvd-balticald2019.lu/. We are grateful for this extension. Thank you to the several people who responded within the original DL (20.1. ): sent information of new affiliation, proposed new theses to the list, commented that the abstract contents are ok, and confirmed authorship or will to be just acknowledged. Notes of updates to come are show in real time here <link removed>. With the extended submission deadline, we can agree a new internal deadline related to updating info for the poster abstract. We can agree that author - and thesis! - information that comes in by Jan 25 can be accounted for in the abstract. Information sent in later than that can still be accounted for in the poster itself. In VPHA, we have in the past years been building a list of doctoral theses related to atomic layer deposition (ALD). The list currently contains already over 350 entries - nice draft illustration of the contents of the unfinished list below - thanks Felix Mattelaer for this! It would be great, of course, if we could have a complete list - the whole research field of ALD would greatly benefit. There are certainly many theses missing from the list still - likely at least from China, Japan, Korea, and likely many other countries, too. We have set it as a goal to finalize the list in VPHA to the status at the end of year 2018, the year Suntola and ALD received the Millennium Technology Prize. To complete the list, we welcome everyone to check if the list is complete and propose additions. First article related to catalyst preparation by atomic layer deposition (ALD) originating from my work as a professor at Aalto University has just been accepted for publication in Topics in Catalysis, special issue on the 18th Nordic Symposium on Catalysis. I have used ChemRXiv for sharing the preprint, so everyone can access the unformatted article already. Link: https://doi.org/10.26434/chemrxiv.7204847.v2. Why to share information of an accepted article / preprint in ALD History Blog? It is because the Introduction of the article is historically valuable. Namely, it contains original references to both "molecular layering" related and "atomic layer epitaxy" related early ALD works on catalysis. As - to the knowledge of the undersigned - none of the existing reviews written on ALD for catalyst preparation adequately describes and cite the early works, the two passages in the Introduction including the cite references become valuable as a "microreview" on the area. Worth spreading word about. Proceedings: R. L. Puurunen, "Learnings from an Open Science Effort: Virtual Project on the History of ALD", ECS Transactions, in press (2018). Open access preprint, DOI: 10.1149/osf.io/exyv3. As the international ALD 2018 conference in Korea starts on July 29, 2018, it is good to spread the message that VPHA is still on-going and more volunteers are welcome to join. As communicated in the VPHA status update in May 2018, the plan is to produce jointly one more brief concluding review article from within VPHA. (Previous publications are listed in the Publication Plan here; the review now in question belongs to Item 10.) The articles produced earlier from within VPHA have become impactful within the field of ALD what comes to citations and other attention (see e.g. Altmetrics for the "ALE essay"). The last review is expected to be impactful, too.